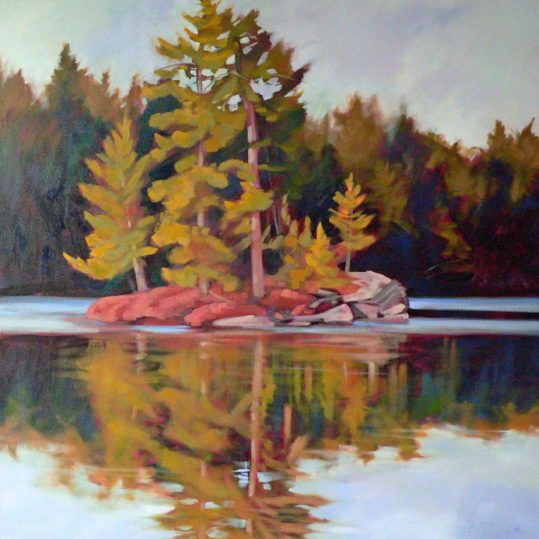 Andrea is a Canadian landscape painter who lives in Muskoka on Skeleton Lake. 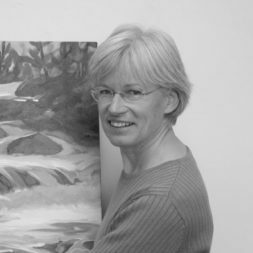 She holds a Fine Art degree from the University of Guelph and has over 40 years drawing and painting experience. She has spent the last 25 years focusing on oil landscapes depicting the Muskoka, Algonquin and Georgian Bay wilderness. Her medium of choice is traditional oil though she has many years experience with the pastel medium. 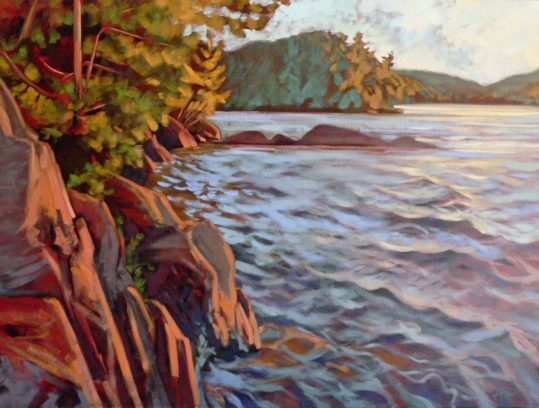 Her paintings are colourful impressions of shorelines, water, rocks and trees and deal mainly with the visual structure of the Canadian landscape and the intrigue of shape, colour and effects of light. 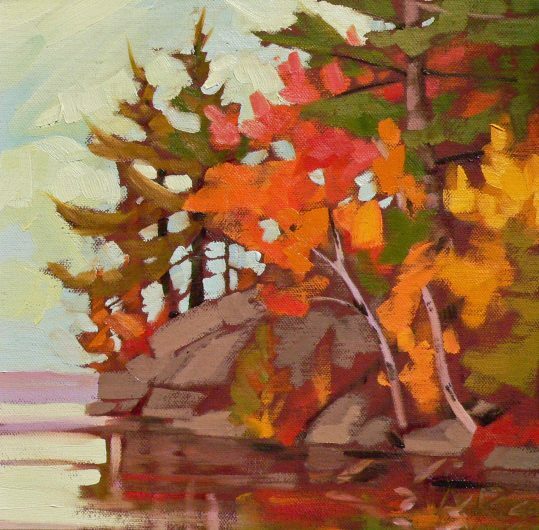 Andrea's paintings possess a sense of energy in gesture, striking colour, light and mood and they entice the viewer to share a strong connection to the Canadian landscape and people. 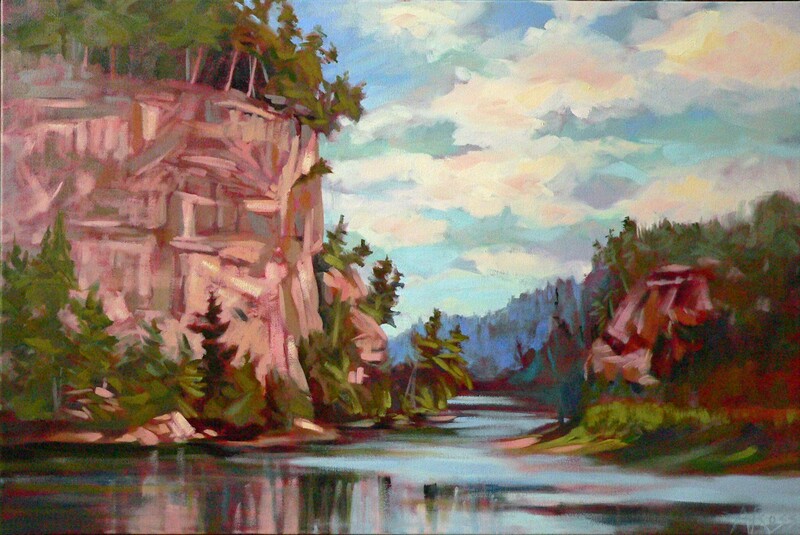 Continuous studio and open-air painting allow her to keep up with show and commission demands. 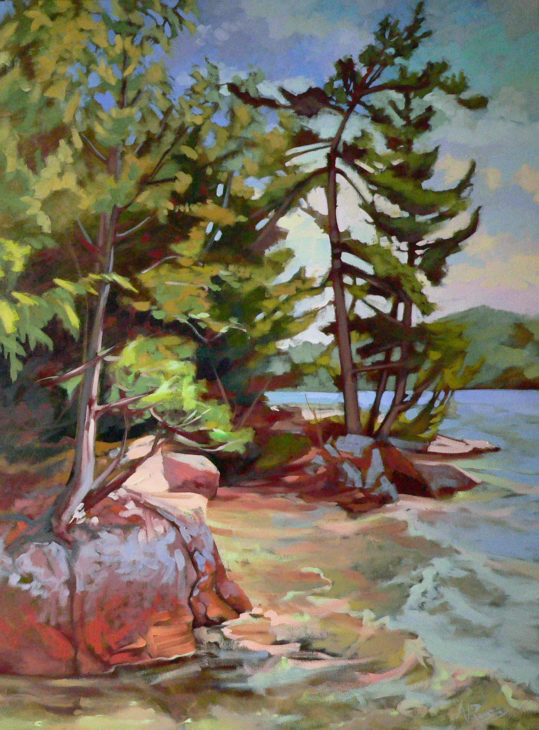 Andrea taught art for many years in Ottawa and now paints full time in her studio on the lake. When not involved with painting Andrea spends time with her husband and family and enjoys sailing, hiking, canoeing and kayaking.